UNITED NATIONS — A United Nations committee agreed yesterday to send a landmark international convention against torture to the General Assembly for adoption. Delegates erupted in applause and good cheer — an infrequent outburst in the UN’s staid chambers — as chairman Ali Abdi Madar of Somalia banged his gavel to affirm the decision for the Social, Humanitarian and Cultural committee, on which all 159 UN member nations have seats. The vote came after a flurry of last-minute compromises and tense 11th-hour maneuvers that could have postponed the vote. In the next few weeks before adjournment, a resolution to adopt the international agreement will come before the General Assembly. Passage was considered almost certain. 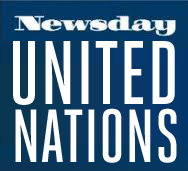 UN administrators said there is no precedent in memory for the General Assembly to reject a resolution approved in committee. Delegates leaving the meeting hailed the decision as the most important this year by the so-called Third Committee, which is concerned mainly with human rights. Some declared it among the most significant issues to be addressed by the General Assembly this session. An Amnesty International representative said it would “the most significant” of human rights instruments on the books. The convention would bind ratifying nations to arrest and extradite torturers and set up a committee to monitor cases of torture. In Amnesty International’s latest report on torture in the 1980s, published last spring, 66 nations were cited for torture, brutality or ill treatment of prisoners. Until the last moment of debate yesterday, however, there was so much dissention over the draft � coming mainly from representatives of the East bloc and non-aligned nations � that cosponsors felt consensus was the least likely outcome. The convention already had spent seven years in the drafting phase in the 43-nation Human Rights Commission in Geneva. Debate over the document has been going on in UN corridors since it arrived in September. The problems were mainly on two planes: No country wanted to be perceived as opposing an international convention against something as universally abhorrent as torture. Yet many had serious reservations about some of the draft’s most important provisions. The sore points were in Articles 19 and 20, which call for an independent committee of experts to investigate allegations of torture and possibly visit countries accused of violations. Investigations would be confidential but conclusions could later be made public. India had asked that acceptance of those articles be optional so that countries that object to the committee acting on information from any source, including the western media, could still accede to the convention. The Soviet Union backed India’s position. But cosponsors, notably the Netherlands and Sweden, refused to consider making the articles optional. If they did, they said, the convention would lose its teeth. The Soviets charged that the “teeth” provisions smacked of politicization. Monday, the Soviet republic of Byelorussia offered a compromise amendment stating that at the time of ratification, a nation could declare it does not recognize the authority of the committee provided for in Article 20. India actively promoted the compromise among non-aligned colleagues, and the cosponsors also agreed that it was acceptable. After delegates returned from a 10-minute break, one further small change was added and the revised resolution was adopted by consensus. Dutch delegate Alphons Hamer, a prime mover behind the draft convention, said the amendment changed the nature of the convention in that it enabled countries that otherwise would not have become part to it to do so. Thus they too would be bound by some of its other significant aspects, eh said. It also provides for universal jurisdiction � the arrest and extradition of torturers anywhere in the world � and mandates national legislation against torture.